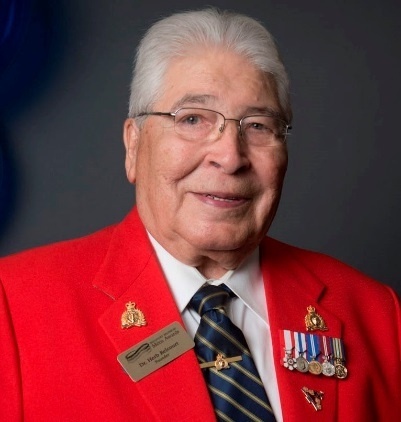 Métis entrepreneur Dr. Herb Belcourt will be among three men honoured on May 3 for their contributions to Alberta’s business community. Belcourt, along with Paul Douglas and Prem Singhmar, will be inducted in a ceremony and gala dinner at the Shaw Conference Centre in Edmonton. The distinction recognizes business leaders who have made significant contributions to Alberta’s economic growth and served as role models for youth. Laureates must have attained senior status in their businesses, made a significant impact on the Albertan or Canadian economy and demonstrated vision, leadership and civic involvement. Belcourt founded Belcourt Construction and helped form Canative Housing Corporation, which has provided Indigenous Albertans with affordable housing. He was also instrumental in developing the Belcourt Brosseau Métis Awards, a $13- million endowment with a mandate to support Métis students pursuing further education. The Canadian Council for Aboriginal Business honoured Belcourt with a lifetime achievement award on Jan. 31. Since it was established in 1980, the Alberta Business Hall of Fame has named 76 men and women as laureates. Belcourt’s accolades include an Honourary Doctorate of Laws (University of Alberta, 2001), The Order of Athabasca University (2006), Investiture as a Member of the Order of Canada (2010) and an Honourary Diploma from NorQuest College (2014).